One of the hardest parts about blogging is getting started. From choosing a theme (or even developing one from scratch), to building out a basic content strategy, to actually beginning writing, there are a lot of things that need to be figured out to ensure a successful launch. Then, once you’re up and running, keeping it updated with consistent content while keeping pace with modern design trends and technical changes presents other challenges of their own. So, you want to make sure you start on the right foot. And you can do just that by following these blog examples from others who have been there and found success. Plus, this post will share actionable tips and takeaways to help you emulate their tactics and processes. Blog Calendar: Plan every post ahead of time in one place. Blog Post Template: Keep your content organized while you write. Blog Ideas Cheat Sheet: Spark your creativity with tons of post ideas. Give them a quick download now. When you’re ready to manage your blog better than ever before, considering upgrading to CoSchedule. It’s an all-in-one marketing management platform with an excellent editorial calendar and key integrations (WordPress + all your social networks = super-streamlined content creation and promotion). Microsoft’s business spans across several different industries. From innovative PC hardware to their venerable productivity software and beyond, few companies have greater global reach or impact on how the world uses computers. Microsoft's Story Labs blog covers all kinds of stories around their products. What’s Great About This Blog? Both the company and its consumers produce incredible stories every day. Some of the most interesting are captured on the Microsoft Story Labs blog, which shares interesting pieces on their products and the people who use them. Whether that means the United Nations partnering with students to build better public spaces using Minecraft, or a wallpaper company revolutionizing a “boring” product, it excels at publishing compelling content like what you’d find on a leading non-branded blog. This blog excels at exceptional storytelling; the kind that requires rolling up your sleeves, doing some research, and really getting to know your interview subjects. Ask your sales team for ideas on interesting customers. Share those stories on your blog. Shopping for musical instruments can be challenging due to the incredible range of options for any given product category. Plus, quality can vary wildly between different pieces of equipment at different price points. For a newcomer, this can make for an intimidating shopping experience. That’s what makes Musician’s Friend’s blog, The HUB, such an awesome example of content marketing done right. Instead of forcing customers to go somewhere else to do product research, this blog is full of helpful buyer’s guides and informative articles. Best of all, they’re written in a way anyone can understand, so beginners unsure of what they need can make the best decisions for themselves. While e-commerce companies can benefit most directly from following this example, any website with product or service pages could employ a similar approach. Figure out which questions newcomers to your industry often ask. Make that content easily accessible on product pages. Few companies do e-commerce blogging better than Shopify. Their blog covers a broad range of topics related to business, marketing, and the Web. What Makes the Shopify Blog Great? The first thing that stands out is its variety of content. If you’re running an e-commerce business, there’s a lot you need to do marketing-wise, and it wisely avoids the trap of being too narrowly focused. Figure out which topics resonate most with your audience. Consistently publish content on a variety of those topics. Get multiple voices writing on your blog. Lots of marketing agencies invest in content that demonstrates their expertise and capabilities. Few do so as well as Andy Crestodina and the team at Orbit Media Studios. What Makes the Orbit Media Studios Blog Great? It isn’t easy to be both actionable and concise. However, this blog consistently achieves both of those goals. 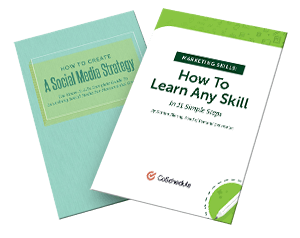 Their posts typically share applicable how-to marketing advice in a way that’s easy to understand, while also showing the reader how to implement it. If you tell someone to do something, show them how to get it done. Try to stick within a reasonable word count. Buying clothes online can be a hassle when you can’t try anything on. It’s even harder when an online store doesn’t have a physical counterpart where you can drop off returns. The Modcloth Blog helps make things easier by sharing style tips, showing off new products, and more. What Makes the ModCloth Blog Great? Top-notch product photography is the name of the game here. Even if you don’t have access to a professional photographer, you can start applying some of the principles that make this blog’s photography work so well. Include real people in your product shots. Show people creative ideas for using your products. DIY projects make excellent blog fodder. Home Depot capitalizes on this with a blog that focuses on actionable advice for completing all kinds of different home improvement tasks, and more. What Makes the Home Depot Blog Great? The first thing that stands out is its quality design. It isn’t flashy, but it looks good. Next, you’ll notice the variety of ways to filter content to find exactly what you’re looking for. One thing to focus on here is making content people want, and then make it easy to sort and find. Make it easy to filter content by category or interest. Make that content detailed and actionable. Smart Passive Income founder Pat Flynn is a blogging machine. He’s built an immensely profitable business and he shares his advice willingly. What Makes Smart Passive Income Great? This blog is awesome because it’s full of advice that Pat has actually executed. He speaks from first-hand experience, and that’s just one thing that helps this blog stand out. The key here is to share tips around things you’ve actually tried. Taking this approach leads to unique and original posts that others can’t copy easily. Become an expert at something new. Be generous with your expertise. When you arrive on Chris Brogan’s website, there’s a promise that you’ll learn how to “use media and community to earn customers.” And that’s exactly what you’ll find once you look around on his blog. 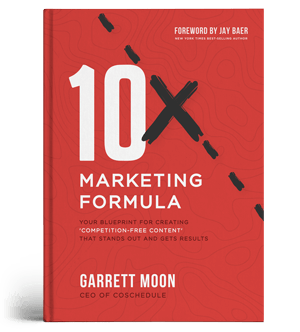 Brogan has written several marketing books and also offers some great free resources. What Makes Chris Brogan’s Blog Great? It’s well-written and the posts are quick. Readers are given quality takeaways without having to set aside an hour to read each one. Quality is more important than length. There are some things about this blog that aren’t particularly hard to emulate (though copying Brogan’s expertise may be tough, and well, you can’t really be someone else anyway). Make your blog’s focus clear. Offer free resources on your site. Blend opinion and practical advice. If you think Google would know how to create great content, you’d be correct. They publish several different blogs, but for this post, take a look at Think With Google. What Makes Think With Google Great? What stands out here is the sheer variety of types of content available. From the home page, you’ll find articles, videos, infographics, tools, research reports, and more. Create a variety of content formats. Make that content easily digestible. There’s a good chance you’ve heard of Boing Boing. If you haven’t, it describes itself as, “A Directory of Mostly Wonderful Things.” That gives you some idea of what you’ll find here, which is a wide variety of interesting stories loosely revolving around art, culture, technology, and beyond. What Makes Boing Boing Great? Beyond exceptional writing, it excels at offering a diverse mix of stories that other sites and blogs don’t cover. It’s both relevant and unique, which isn’t an easy balance to strike. Curate stories you think your audience would find interesting. Cover a variety of topics. Develop a strong editorial voice. Brian Clark and the team at Copyblogger have been writing one of the best blogs for copywriters for years. There are a lot of things to praise here. One aspect that makes this blog one of the best is its clarity and focus on offering strong educational content. Any time you visit Copyblogger, you can rest assured you’ll leave with something useful you can apply to your work. Don’t neglect beginners and non-experts. Help your audience be more productive. As one of the premier personal and organizational apps out there, it makes sense that Evernote’s blog would focus heavily on productivity and getting organized. That includes sharing use cases for their product, and posts about organization and productivity in general. What Makes the Evernote Blog Great? This blog balances both product-centric posts and content that connects with broader topics its audience would be interested in. If readers care about what your product does, odds are they’d probably be interested in other related topics, too. Bloggers and content marketers often wonder whether it’s okay to promote their own products in posts, and Evernote shows how to do it right. Show your audience how to use your product. Cover topics related to what your product helps people achieve. Most web hosting services don’t blog about White Stripes cover videos or time-lapse videos of cable train rides. That’s exactly the kind of stuff you’ll find on Laughing Squid’s blog, though. What Makes the Laughing Squid Blog Great? If those kinds of topics seem irrelevant at first, consider this: Laughing Squid is in the business of hosting websites. So, why not share the most interesting things they can find from around the web? It’s a smart content strategy, and one that has made them a much better-known name than if they blogged about dry, technical topics instead. This approach isn’t necessarily difficult to follow. It relies heavily on curating content and offering commentary. The challenge rests in consistently finding content worth sharing. Find an interesting intersection between your product, your industry, and what your audience enjoys. It might sound ironic, but authors aren’t always great marketers. Sure, both involve writing and storytelling chops, but that’s where the similarities end. Bad Red Head Media is here to help authors close gaps in their skill sets so they can learn not only how to write great books, but understand how to market them, too. What Makes Bad Red Head Media Great? It has attitude and personality, but it isn’t condescending. Founder Rachel Thompson is here to be helpful, and she delivers in spades, with posts clearly explaining how to tackle all kinds of marketing tasks an author might encounter. SEO often seems like magic to newcomers. Fortunately, the Ahrefs Blog is here to demystify how it works. What Makes the Ahrefs Blog Great? Actionability. Not only does the team at Ahrefs consistently cover the topics and problems SEO practitioners and marketers most often encounter, they actually show readers how to get things done. Dig deep into technical topics and make them easy to understand. Do that while making your advice actionable, and you’re on your way to creating a blog that readers will trust. Patagonia is a mission-driven brand, which they make clear when you visit The Cleanest Line, their blog. What Makes The Cleanest Line Great? It doesn’t feel like a generic brand blog. Patagonia has gone to great lengths to produce top-notch content that doesn’t just catch people’s attention when they’re in shopping mode, but when they’re just browsing the web, in general. Get well-respected writers on your blog. The Direct2Dell blog is another great example of a brand thinking like a publisher. What Makes the Direct2Dell Blog Great? It’s a simple detail, but this blog’s design and category selection look much like any other tech news site someone might choose to read. They share news, opinions, and reported features like you’d find on those types of sites. The topical focus is always tightly connected to things Dell customers would be interested in. The name of the game here is thinking like a publisher. Emulate news publishers instead of other brands. Hire enough content creation and management staff to do it right. Invest in good blog design. Gaming content is highly competitive. It’s also big business: total industry revenue is expected to exceed $20 billion by 2020 in the United States alone. As a manufacturer of both hardware and software, it’s no wonder why Sony would want to make sure one of its flagship brands has a strong blog presence. What Makes the PlayStation Blog Great? Similar to the Dell example, this blog excels by taking a publisher-style mindset. However, it’s more directly branded (it is the PlayStation Blog, after all). Start small but build your way up. Look at what news sites in your industry do, then emulate them. Michael Hyatt has a lifetime of knowledge to share about leadership. And that’s exactly what he offers on his blog. What Makes Michael Hyatt’s Blog Great? Beyond the quality of his guidance and advice, Hyatt’s blog uses a unique magazine-style approach, grouping posts around common themes (which is a take on the concept of developing content clusters). Start by planning out posts sharing practical advice. Group them together by theme. Maintain a warm and helpful tone. Food blogs are a highly competitive niche. One blog to consider following in this space is Spoon Fork Bacon. It’s clean design, quality photos, and clear recipes stand out as a case study in food blogging done right. What Makes Spoon Fork Bacon Great? Aside from having a humorous name, it’s well-written and full of personality. The best food blogs are all about high-quality photography. Avoid cluttering recipes with unnecessary information or ads (something that can make commercial cooking sites difficult to navigate). Get a writing partner or someone to help create content and manage your blog. This post mentioned earlier that CoSchedule is the perfect platform for managing blog content creation, promotion, and workflows. But, how exactly does having editorial calendar software help achieve these goals? With CoSchedule, you can see your entire publishing schedule and automate posting days and times, all in one place. Plus, you can connect your social networks and email platform (including MailChimp) to keep all your blog post promotion organized. If you have a team of content creators you work with, you can easily manage workflows with reusable project checklists called Task Templates and communicate with Discussion Threads. What does this all mean? It means CoSchedule is your ultimate tool for keeping your WordPress blog organized, so you can publish and promote more consistently, with less effort. Where Will Your Blogging Journey Take You? This post has covered all kinds of different blogs. Whether you’re a solo blogger looking to make a living from your interests, or a content marketer diving into the world of brand blogs, you’ve hopefully gotten at least a few helpful takeaways here to get you started. Where you go from here is up to you. Best of luck!